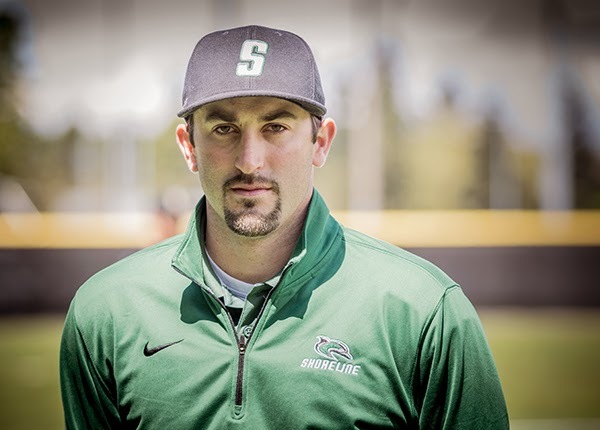 Shoreline Community College has a new head coach who is determined to take the ram last season.men’s baseball program to the next level. Last season, Travis Fox worked beside Dave Snell as co-head coach of the 10-24 Dolphin baseball program. This season, Fox is leading the team on his own, but he hasn’t always been an SCC Dolphin. Fox has been playing and coaching baseball for the last 13 years. He played on two Great Northwest Athletic Conference (GNAC) championship teams at Western Oregon University, and played a season on the professional level in the Australian Baseball League for the Adelaide Bite. Fox went on to cite Duke University men’s basketball head coach Mike Krzyzewski and Seahawks head coach Pete Carroll as his inspiration. “The more I learn about them and their beliefs, the more I appreciate them as leaders,” Fox said. Carroll and Krzyzewski have both adopted a progressive coaching style that aims to move away from coaching’s traditional roots and, ideally, into a more successful program through new age development and psychology techniques. This modern psychology approach manifests on the field as well as in the locker room before and after games. Aside from having his team completely distraction-free before each game, another one of Fox’s personal goals for his baseball program is to become more engaged with the SCC community. Fox’s philosophy is simple: a strong team is built on a strong program and a program is built on its values. In team building every bit of hard work counts, according to Fox. And, like Carroll and Krzyzewski, Fox loves his fundamentals.